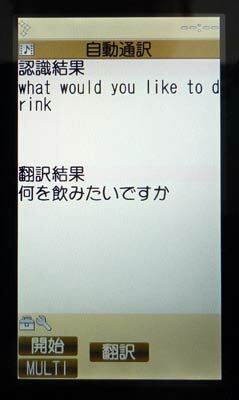 The company says its software can take words spoken into a phone’s mic and translate both ways between Japanese and English in real time without recourse to a network connection to a server, displaying the result as onscreen text. Most importantly, the new system is supposed to be quick (“a few moments”), perfect for mobile CPUs and can work in noisy conditions. We’re also pleased to note that it includes a “Model-Based Wiener Filter.” No, really.